Carla is the owner and co-founder of College Resource Network, a scholarship search engine focusing on minority and disadvantaged students. STEM is an acronym for Science, Technology, Engineering and Math. 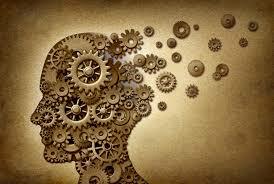 STEM Scholarships are a form of financial assistance and do not usually need to be repaid. There are plenty of STEM-related jobs available but not enough qualified applicants to fill those jobs. In an effort to increase the number of qualified workers in the workforce, many companies, organizations and foundations provide STEM scholarships to encourage students to purse STEM majors. There are STEM Scholarships specifically to help women and underrepresented students succeed in these traditionally underrepresented disciplines. STEM awards and scholarships range in value from $500-$15,000 or more. Students who apply for STEM Scholarships must be enrolled in a major or program related to the STEM fields. 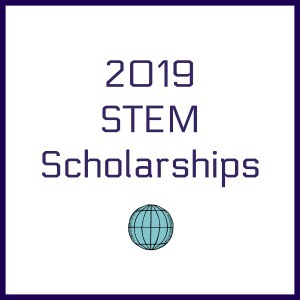 Some STEM scholarships may accept applicants in different majors such as business or literature and will have specific eligibility requirements and deadlines. 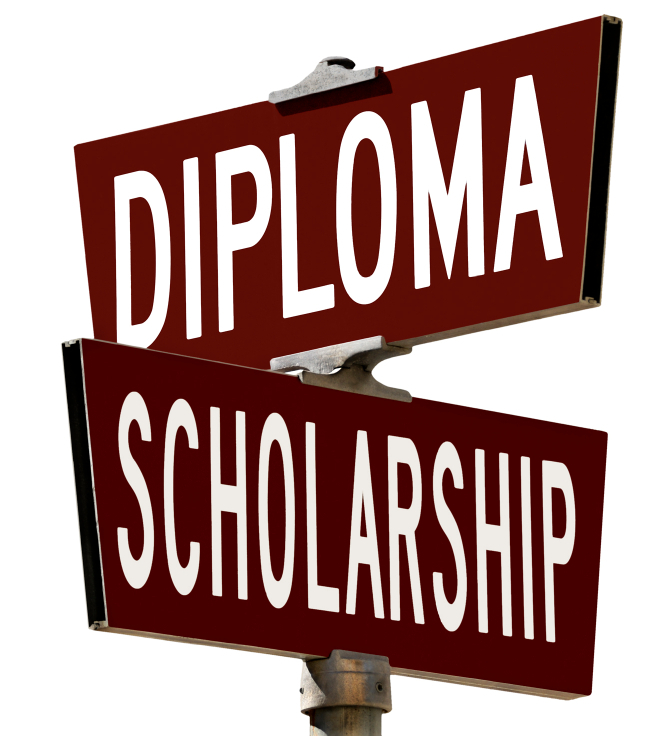 You can find specific eligibility requirements on the scholarship providers website or application form. Eligibility: Open to undergraduate and graduate students with declared STEM major. International students may apply. Eligibility: Any student majoring in a STEM field that is attending an accredited college may apply. Eligibility: You must be enrolled in an accredited undergraduate or graduate degree program in the United States or Canada, majoring in Science, Technology, Engineering, or Mathematics (STEM). Applicants must be 18 years of age or older at the date of submission and in good academic standing with their college or university. Eligibility: The Snapology STEM Studies Scholarship awards scholarships to female college-bound high school seniors based on demonstrated academic achievement, financial need, and an express interest in pursuing a STEM education. Elligibility: National – Any graduating high school senior, undergraduate, or graduate student, from a traditionally underserved or underrepresented group in science, technology, engineering, math or health. Eligibility: High School Seniors, Undergraduates, Graduates as well as international students can apply. Candidate must be enrolled as a freshman, undergraduate or graduate student at an accredited college or university for the Fall semester. Intended major in Science, Technology, Engineering, Mathematics or related fields. Eligibility: Successful completion of a minimum of two years of post-high school education at an accredited college or university. Maintenance of a minimum grade point average (GPA) of 3.0 for the entirety of college/university enrollment. A declared major in an accredited STEM or STEM-related teaching field. Be an active supporter of and participant in programs or organizations that promote LGBTQ inclusion and visibility. Students must be eligible for fall term registration and must not be under disciplinary sanction. Eligibility: The program is available to female students and students of African-American, Asian, Pacific Island, Native American, Native Alaskan, or Hispanic descent. A US citizen or permanent resident. A junior or senior, full-time, day-time student at an accredited and approved college or university.Enrolled in contiguous fall and spring semesters, carrying a minimum of 12 credits and earning a minimum 3.0 GPA (on a 4.0 scale) each semester.Working towards a baccalaureate degree in science, technology, engineering or math with at least 60 credits of college work prior to the submission of the application. Eligibility: An applicant must: Be an undergraduate college student or high school senior. Have a cumulative minimum of 3.0 GPA. Maintain full-time enrollment of 12 credit hours or more per college term. Be a declared major in a science, technology, engineering, or mathematic field of study. Demonstrate passion for STEM subjects, strong moral character, and leadership ability. Reside in the U.S. attend a U.S. university, and be legally declared as a U.S. citizen. Eligibility: The HomeTechLab STEM Scholarship is for High School, Undergraduate and Postgraduate students whose studies focus on the STEM disciplines, which include any field related to or approximating the fields of science, technology, engineering, and mathematics. Eligility: Open to any full-time student currently enrolled in a STEM (science, technology, engineering or math) program at any college, university or vocational school. Eligibility: Open to undergraduate and graduate students majoring in STEM (i.e. science, technology, engineering or mathematics). Must submit video. Eligibility: awarded annually to a male, US citizen who attends an accredited institution in the United States and is majoring in one of the following fields: Engineering, Chemistry, Physics or Mathematical Sciences. Eligibility: 1. Applicant must be a full time undergraduate student enrolled in an accredited college that awards Bachelor of Science or Arts degrees. 2. Major must be Engineering, Math or Physical Sciences (e.g. Physics, Chemistry) or Science Fiction as Literature. 3. Open to residents of any country. Eligibility: The Science Ambassador Scholarship is a full tuition scholarship for a woman seeking an undergraduate degree in science, engineering, or math, funded by Cards Against Humanity. 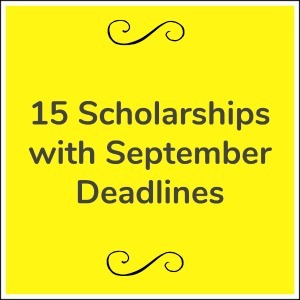 Eligibility: Open to women who are active, full-time undergraduate students enrolled in an accredited U.S., Canadian or Mexican college/university during the academic years that the scholarship is awarded, i.e., you must be enrolled in both the current (2018-19) and upcoming (2019-20) academic years. Are a freshman, sophomore, or junior who are majoring in or plan to major in Science, Technology, Engineering or Math (STEM) fields. Identify as women. Have not been recipients in the past. Eligibility: African-American, undergraduate student majoring (or intending to major) in a technical field of study (i.e., engineering, math, science, etc. ), Be enrolled (or identify his or her intention to enroll) at one of the predominantly Black colleges or universities listed below, and Be a U.S. citizen or permanent resident. Eligibility: The Dotcom-Monitor Women in Computing Scholarship is open to female students currently enrolled as full-time undergraduate students at an accredited college or university in the U.S. or Canada for the 2018-2019 academic year. Applicants should have either already declared their major or have completed at least one academic year in computer science, computer engineering, or closely related technical field. 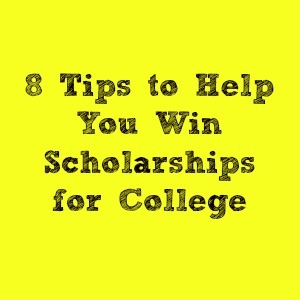 We have compiled a list of 20 college scholarships for you to enjoy and hopefully win! 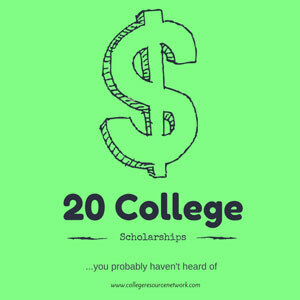 While there are many other scholarships worth more money, we choose 20 award programs that should appeal to just about everyone. The awards are from $100-$5000 and are open to a wide range of students. Whether you are a high school senior, current undergraduate or graduate student, non-traditional student or international student, you should be able to find some good resources in this list. Good luck! 1. Study Soup Future Innovator Scholarship Program – Open to high school, undergraduate and graduate students. 2. The SwissGear.com Ultimate Backpack Scholarship – Open to incoming college freshman for the fall 2016 academic semester or a current undergraduate or graduate student that is enrolled by August 31, 2016 at any accredited two or four year college, university or institute. 3. The Family Rentals ‘Create Your Ideal Event’ Scholarship – The Family Rentals (Create Your Ideal Event) Scholarship is open to high school seniors and any student enrolled in an undergraduate or graduate degree program by August 31, 2016 at any accredited U.S. college, university or institute. 4. The Stop-Painting.com Scholarship – Open to any student currently enrolled at an accredited college, university, or related technical program. All majors, programs of study, and class years are encouraged to apply. 5. Bant.io Scholarship Opportunity – Open to all students who are currently enrolled in a high school, college, university, or trade school, and who complete the scholarship application online at www.bant.io/scholarship/. Applicants must be enrolled (or enroll no later than the fall of 2016) in a college or university within the United States or United Kingdom. 6. Vol & Tier Digital Excellence in Entrepreneurship Scholarship – Toronto-based digital marketing company, Vol & Tier provides one $4,000 annual scholarship to an undergraduate student enrolled in an academic institution (College or University) with both a high level of business acumen and a strong entrepreneurial mindset. Applicants cannot be in their final year of study and must be enrolled full-time. The scholarship is limited to Canadian and U.S. residents only. 7. TikiLIVE Television Takeover Scholarship – The TikiLIVE “Television Takeover’’ Scholarship – Open to any student enrolled in an undergraduate or graduate degree program by January 1, 2016 at any accredited U.S. college, university or institute. 8. The NOAH’S Event Venue Scholarship – is a merit-based scholarship program. Financial need is not considered in the selection of the scholarship recipient. Winners are selected based on the quality of their essay. It is open to all current students attending an accredited U.S. college or university. Deadline: June 1st (Fall), November 1st (Spring). 9. SimpleTexting $1,000 College Scholarship – SimpleTexting is offering a $1,000 College Scholarship for a deserving high school senior or current college student. If you are currently enrolled in college or headed there in 2016-17 and want to win a $1000 college scholarship to help cover expenses, consider entering the SimpleTexting College Scholarship Contest. 10. Spreadsheet Sherpa Bi-Annual Scholarship – Offers a bi-yearly (February & July) $1,000 scholarship to individuals who are currently attending or planning to attend undergraduate or graduate school in the near future. Deadline: June 1st, January 1st. 11. Giva’s Corporate Student Scholarship and Worldwide Community Ambassador Award – Open to anyone attending a college or university worldwide. This scholarship grant is aimed at assisting undergraduate or graduate students further their education as well as expand their social responsibility and community service footprint in the world. There is no specific course of study or major required. 13. The HotelsCheap Scholarship Program – is a need-based scholarship that rewards students who are looking to better themselves, who have goals and dreams, and who are committed to achieving a college degree. U.S. students who are 16 years of age or older are encouraged to apply. High school students, undergraduate students, master degree students, and adult learners are all encouraged to apply. 14. The Lang Antiques Fine Arts Scholarship – Open to any student enrolled in an undergraduate or graduate degree program by September 1st at any accredited U.S. college, university or institute. 15. The Opportunity Influence of Social Media Scholarship – Open to any student enrolled in an undergraduate or graduate degree program by September 1st at any accredited U.S. college, university or institute. 16. Simon Youth Community Scholarship Program – Must Be a high school senior attending school and living within 50 miles of the Simon® property associated with the application. For a list of Simon properties, visit: http://m.simon.com/malllist.aspx Applicant must be a legal U.S. resident. Plan to enroll full-time in an accredited two- or four-year college, university or vocational/technical school in Fall 2016. Demonstrate academic promise and financial need. Applicants will be evaluated based on academic promise, financial need, essay response, work experience and community/extracurricular involvement. 17. The Daily Steals ‘What’s Your Utensil Type?’ Scholarship – Open to any student enrolled in an undergraduate or graduate degree program by January 1st, 2016 at any accredited U.S. college, university or institute. 18. The Urban Mattress Scholarship – The Urban Mattress Scholarship is a $2500 merit-based scholarship awarded once per year for students pursuing higher education with an emphasis on the social sciences, liberal arts, philanthropy, volunteer work, or any other related field. Urban Mattress locations are each locally owned and operated and we positively impact our communities by giving back 2% of each purchase to local non-profit groups. Applicants must be U.S. citizens or permanent residents with a minimum GPA of 3.0 enrolled in or planning to enroll in an accredited college or university during application year. 19. Goedeker’s Appliances Annual College Book Scholarship – Goedeker’s is a St. Louis-based, family-oriented company that has been in operation since 1951. Any student that is enrolled in an accredited college is eligible to participate. This includes any grade level, freshman to senior; undergrad and graduate alike are eligible. Even if you are a transfer student, non-traditional student, studying abroad, or taking classes online, you can enter. Any major or field of study is acceptable. You must either be enrolled for the spring 2017 or registered for the fall 2017 semester. Being enrolled in summer classes does not make you eligible to enter. 20. The Diamond Herbs Scholarship Award – The $1000 scholarship aims to help students reach their education and career goals by assisting with the cost of tuition and books. Open to any student currently enrolled in school with a GPA of 3.0. To apply; the student must write an essay of the benefits of alternative medicine compared to pharmaceutical drugs.